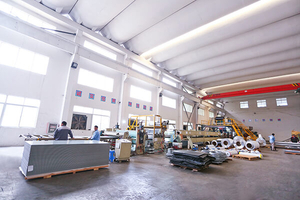 Factory - Jiangyin ACP Industry Co., Ltd. 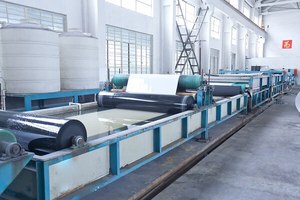 The chemosynthesis line is to clean the lubricating grease and anti-oxidative grease adhesive to the surface while being rolled, and other impurities such as silicon, magnesium, iron and copper that deposit on the surface of metal materials. 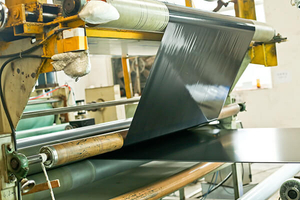 The company uses qualified industrial chemicals and advanced technology from Henkel Co., Ltd Germany to have a chemosynthesis dealing with the surface of metal materials. 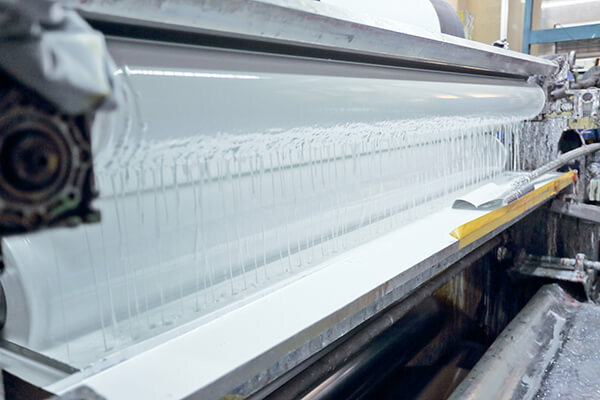 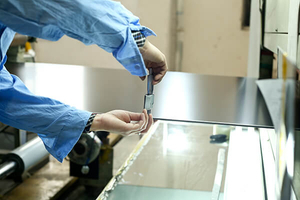 Through this technology, the aluminum and stainless steel surface is covered with a honeycomb oxidative coating of high density, which becomes an agent to make paint and metal firmly adhesive to each other, the agent has very strong adhesive force. 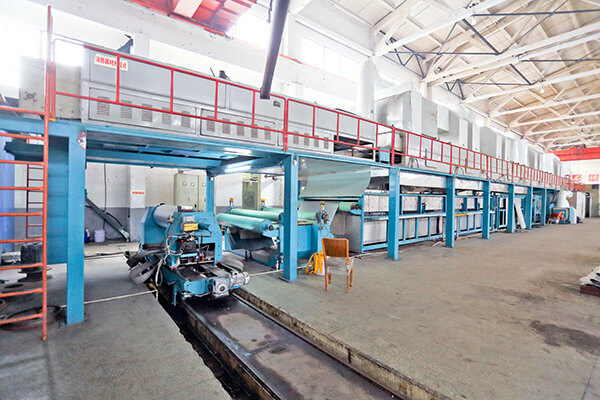 The precision coating line is to coat the chemosynthesized aluminum and stainless steel roll with various paints according to the needs of the customers. 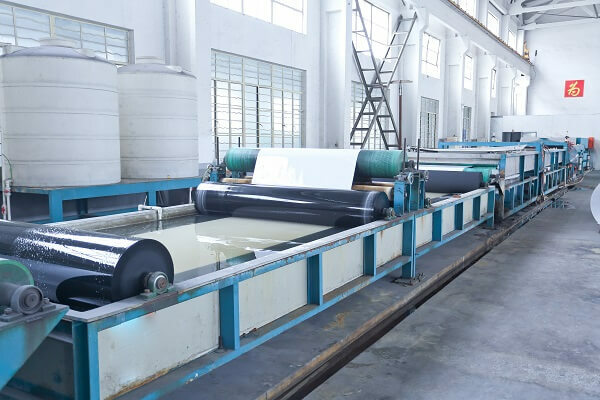 The company has an advanced three-roller reversal precision coating machine that can operate under sealed, dustless condition in its solvent resistance, hardness, flexibility and good glossiness, strong adhesive force and corrosion resistance. 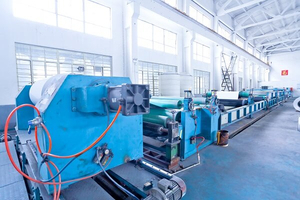 This is the key equipment of producing Aluminum and Metal Plastic Composite Panel. 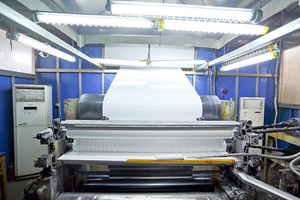 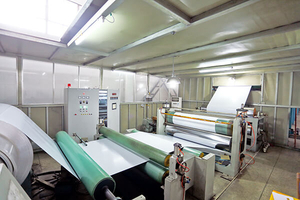 It can make metal materials, PE core-board and Adhesive Polyolefin Film firmly adhesive to one another under high heat and high pressure so that the panel is smooth in surface. 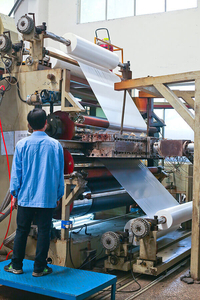 With imported qualified Adhesive Polyolefin Film, advanced equipment, perfect technology and strict quality control, we have produced the ACP and SSCP whose peel strength is superior to the quality index of imported panels.